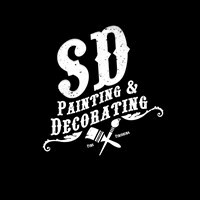 SD Painting and Decorating - Painter/Decorator based in Feltham, Middlesex. Hi my name is Steve Dickson BSc, I have 12 years’ experience and have a vast range of knowledge within the painting and decorating trade. And I also offer a magic man service - the repair of damaged fittings such as baths, sinks, flooring, tiles, upvc, and much more. If you have any enquiries please do not hesitate to ask as all estimates are free.